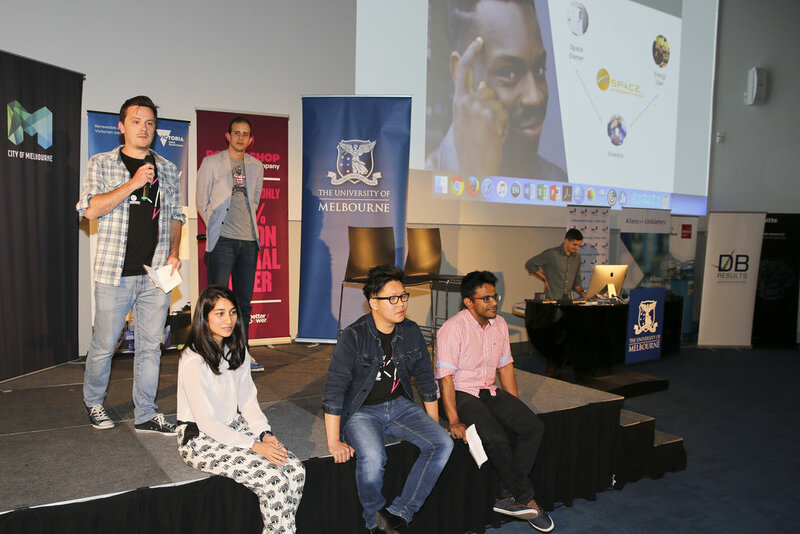 The second EnergyHack took place over the weekend, put on by the team from Melbourne Energy Institute and Powershop. With the theme of this year’s event focusing on community energy and virtual power plants, I couldn’t turn down the chance to spend my weekend in the basement of Melbourne School of Design with a bunch of other energy nerds trying to save the world. Fortunately, about 100 other people felt the same, along with some great mentors from within the energy industry and from the start-up arena. After a few speeches to set the scene and get us appropriately psyched up (and some beers as social lubricant), we dove straight in. I ended up coalescing into a team with four other engineers (ew!) and a supply chain analyst. Normally too many technical people make innovation (and life in general) difficult, but fortunately this group has the knowledge, experience, and attitude to work as a functional team right off the starting line. Rather than diving straight into developing a solution, we started off by talking over the problems – Why isn’t community energy more common in Australia? Who is left out of the renewable energy market? After about 15 minutes of discussion, we had identified that all of us were renting (in a mixture of houses and apartments – but all of them without any onsite RE), paid more than we wanted for electricity (but had no other option), and were excluded from investing in our own RE (and even excluded from investing in more general RE projects due to high entry barriers). If this is the case for our entire team, surely other people aren’t happy with this, and there is a gap in the market that we can fill. A bit of research confirmed this, and we were off down the rabbit hole. Over the next 48 hours, we brainstormed ideas, researched competitors, got advice from our friends and colleagues (both welcome and some not so welcome), drank lots of coffee and changed our business model seemingly every few minutes. But we had a great time doing it, and I think this is really what came through in our final pitch. While hacks/start-up weekends/?? can be stressful, they are also supposed to be fun. While our final idea may not be revolutionary, practical, or even possible to implement, we (and I’m speaking for my team here) enjoyed the process. If we continue with developing this idea (and at the moment I’m keen to see where it goes), keeping that enjoyment in the process is going to be important. And the $5000 in prize money we received is going to help us go down that path. The xsSpace team mid-pitch (L-R) - Kieran Sullivan, Ruqayyah Merchant, Patrick Blain, Danny Bui, Vignesh Arun, and Kristoff Dippl. I could go into a description of the idea we pitched here, but I won’t be able to do it justice, so check out a video of the winning pitch below. MEI has also released a statement that you can read at ecogeneration. Thanks to the organising team for putting on a great event, and to all the mentors, sponsors, judges, and speakers for making it so memorable. Older PostDo we need a meat tax?